Intersection:Queen St E & Broadview Ave. Maintenance fees:Approx. $0.53 per sqft. 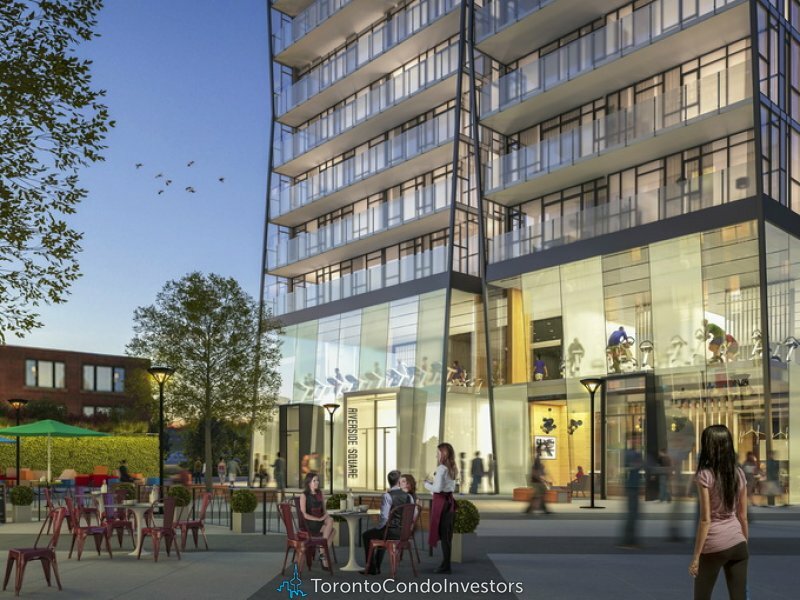 Riverside Square is a new two phase low and high rise condo development by Streetcar Developments. Streetcar is a veteran loft and urban condo builder with successful projects under construction at the Leslieville neighbourhood. 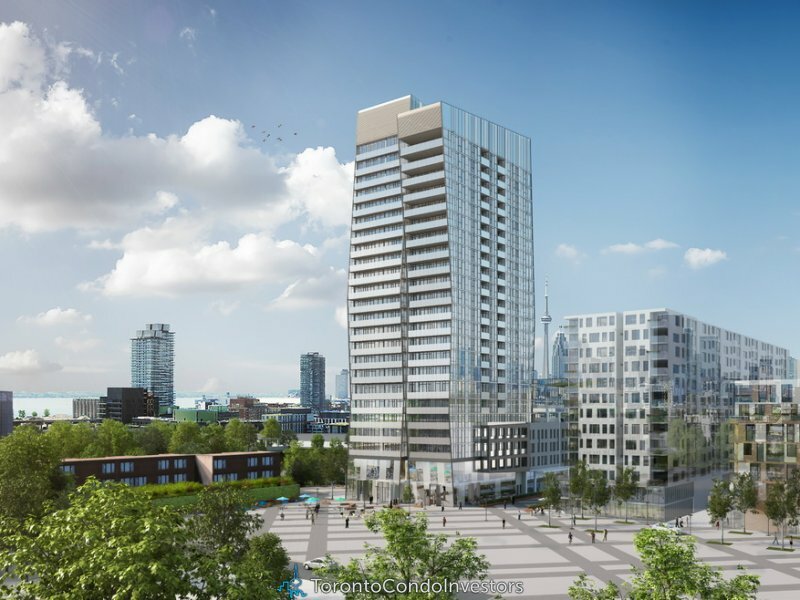 With 4 acres of land on 77-79 East Don Roadway and 677 Queen East a total of 864 proposed units at Riverside Square will be spanned at four low-rise buildings, a staggerd 4-7 storey building, an eastern 8 storey and two 13 and 13 storey buildings along with a 24 storey tower along with public green space. 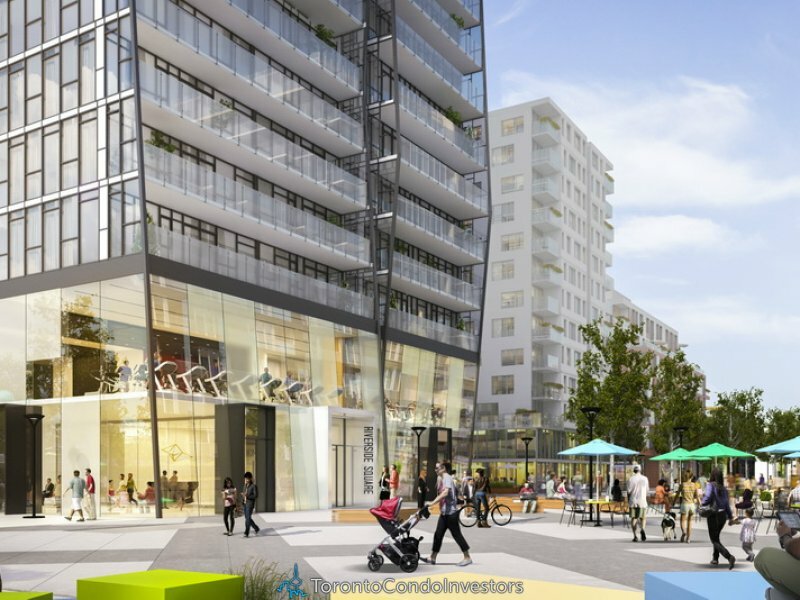 Prices are estimated to be starting from the mid $200,000’s and will launch in fall 2014 and estimated to be completed in 2018, Riverside Square will be located on 677 Queen Street East at Riverdale in Toronto.